Providing timely Quality services by systematic continuous improvement in all facets of its activities. Providing credible, dependable and traceable measurement services meeting or surpassing customer expectation. Sharing technical expertise in projects. 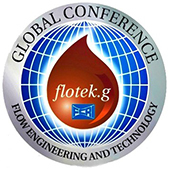 Designing and developing specialized flow products at competitive price. Affording opportunities for continuing education and training of employes. Training the customers to enhance their competence. Committing to implement, maintain and improve the quality Management System conforming to ISO 9001-2008, 14001-2000 and 17025 – 2005.